Chief Paul White Eagle will give a presentation at Cape River Heritage Museum. Drop in for gaming for the whole family to play. Board, strategy and cooperative games will be available. Special mystery boxes will also be available - can your family figure out the clues to unlock the mystery box? First Presbyterian Church of Jackson will host a holiday bazaar on November 9 - 10th at 206 E Washington St. Baked goods crafts, Christmas items etc. St. Vincent de Paul will hold a Christmas Bazaar from 8 a.m. to 4 p.m. Saturday, Nov. 10, at the St. Vincent DePaul Center, 1912 Ritter Drive in Cape Girardeau. Admission is free, and lunch is served. Doug Rees will be at Steele Crest Winery near Jackson. All moves are taught and the dances walked through. Handpicked will provide the music. Free beginners' workshop will be held 6:45 to 7 p.m. on the day of each dance. For more information call John Coffman at (573) 334-4706. Dr. Fever & The Venus Flytrap at Midway Bar & Grill- "70s Disco Costume Party and Fashion Show"
Visit Historic Downtown Sikeston for great store specials, carriage rides, carolers, and Santa! 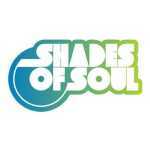 Shades of Soul will play in Lone Wolf from 8 p.m. to 12:30 a.m.! Come enjoy great music! River City Players production of the American classic holiday story, staged as a 1940's radio show. Call Port Cape for reservations at 573-334-0954. Dinner-theatre Fri and Sat, Dessert Theatre Thur and Sun.